We believe there is a pit bull to fit every lifestyle and personality. 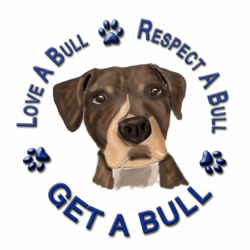 Please consider one of our Avail A Bulls for your home! These are just a few of our availabulls but if you click here you will go to the full listings. We also occasionally have other breed mixes for adoption. Contact us at GetABullrescue@gmail.com or 516-714-4403 or fill out our Adoption Application if you're interested in CHARLIE BEAR!! Contact us at GetABullrescue@gmail.com or 516-714-4403 or fill out our Adoption Application if you're interested in NALA! ADOPT BABY GIRL! Baby Girl is a 6 yo mixed breed pup about 60 lbs that we rescued from a kill shelter in Louisiana. Baby Girl WAS heartworm positive and has finished up her treatment and is now in NY!! We just love this low key girl!!! She has lived with dogs big and small. She is very playful and also insists on sitting on your lap. She's so sweet!! Contact us at GetABullrescue@gmail.com or 516-714-4403 or fill out our Adoption Application if you're interested in BABY GIRL!